The life of Chester Nez and and the ways in which the navajo language was adopted as a form of cryptography during WWII. This essay discusses the strategy of using a coded language in war by examining the life of Chester Nez and and the ways in which the navajo language was adopted as a form of cryptography during WWII. Armed with the indecipherable navajo language, Nez and 29 other navajo code talkers helped the allies defeat Japan and Germany." 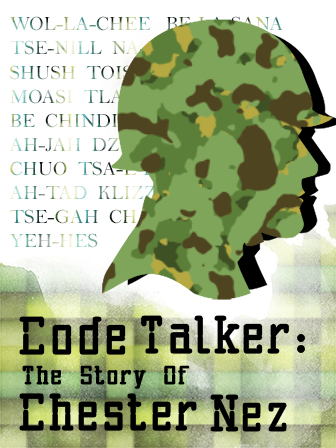 This informative story teaches students about the first Native American language used as a code by the U.S. military, while also sharing the story of a true American hero.